Calval (CALibration / VALidation) is what determines data quality. This step involves a series of quality controls designed to ensure a continuous supply of data. Calval teams calibrate the satellite instruments and determine the parameters, corrections, biases and so on to be applied to measurements. In particular, this task involves validating and refining algorithms in close collaboration with processing system development teams and users. Once the mission is fully underway, Calval operations consist in determining data quality and keeping a check on instrument drift. Quality control is achieved through statistical data analysis, analyses at crossover points, and comparisons between orbit cycles. Data are also compared with other missions. Absolute calibration is the comparison of the engineering measurement with an independent measurement (e.g. buoy, tide gauge) of the same parameter (range, sea surface height, etc.). Absolute calibration provides one reference point for the complete altimetric time series, a decade after the absolute calibration of ERS-1. In relative calibration, two altimetry systems are compared through their global geophysical data products. Due to the huge number of globally-distributed measurements processed, relative calibration is significantly more precise than local absolute calibration. This is where the main benefit of this technique lies: to ensure consistency in two different but momentarily overlapping missions. The altimeter’s calibration and validation activities are normally organised by working teams with thematic responsibilities. Verification and absolute calibration of range and sigma0 are tasks of the In-flight Instrument Calibration Team, orbit validation is the task of the Precise Orbit Determination Team, and relative calibration and product validation are the responsibility of the Cross-Calibration and Validation Team. 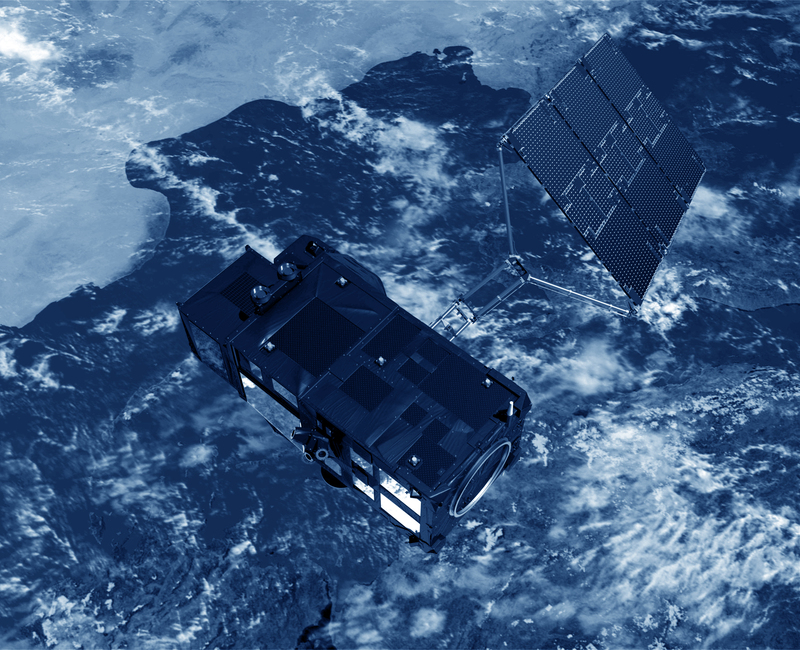 The altimetric measurement time series, being produced from different altimetric missions, will need to be inter-calibrated, within a required precision, in order to obtain a consistent multi-satellite data set. Inter-calibration, or so-called cross-calibration, is the determination of relative biases between the measurements of different altimeters. Cross calibration activities are divided into product validation and algorithm verification. The objective behind product validation is to authorise the distribution of validated products to all users within weeks/months after launch. The geophysical processing algorithms also undergo a post-launch verification of real data with the aim of assessing algorithm performance, tuning processing parameters and applying relevant calibration coefficients at the end of the commissioning phase. After the Commissioning Phase, the Routine Exploitation phase begins, and continues until the end of the altimetry mission. The commissioning phase group is then required to formulate further recommendations at the completion of the phase (e.g. updating parameters in processors by applying new calibration values, updating algorithms, opportunity to reprocess commissioning phase data, proposed new products and algorithms, etc). During the routine phase these recommendations are taken on board, and new instrument or processing anomalies are investigated and solved. Long-term altimeter range, SWH, sigma0/wind speed and the stability of other parameters is monitored and further comparisons are made with in situ tide gauge data or other altimetry missions. The aim of this is to update previous calibration/validation results and to give a consistent time series for all the altimetry missions.